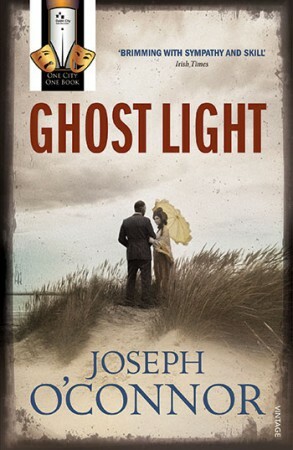 Ghost Light which was published by Harvill Secker in June 2010, is loosely based on the love affair between the great Irish playwright John Millington Synge and the Abbey Theatre actress Molly Allgood. The novel received rave reviews at home and internationally, and was a no.1 bestseller in Ireland for nine weeks. Pulitzer Prize-winning author Michael Cunningham called it ‘A rare and wonderful book’. It has been sold for translation in 16 languages. Joseph O’Connor was born in Dublin, Ireland, on September 20, 1963. His parents, John O’Connor and Marie O’Grady, took an interest in fiction, poetry, theatre and music. Joseph’s father was born in Francis Street, in one of the oldest parts of Dublin city, the Liberties. Several of the stories and songs of that independently-minded place have appeared in Joseph’s fiction and other writings.